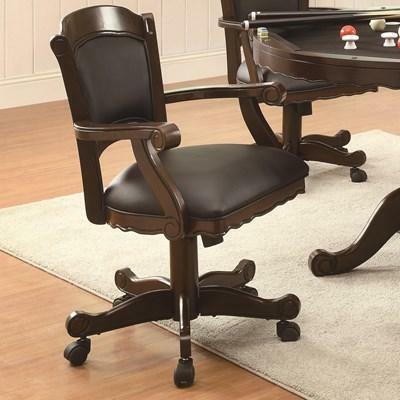 This Marietta Upholstered Game Chair by Coaster Furniture features a transitional style with upholstered back and seat, wood arms with an X-design and casters on feet. This piece comes in a tan fabric with a distressed brown finish. 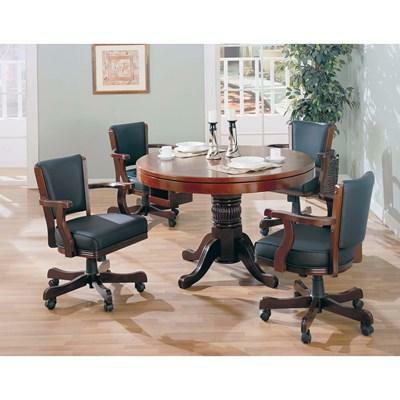 Solid oak with olive-brown upholstered seat and back, wood armchairs that include casters. This chair does swivel and tilt. 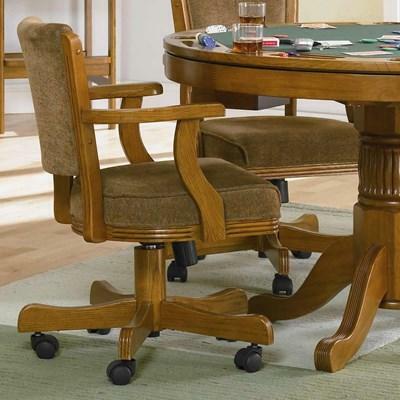 The Turk Arm Game Chair with Casters and Fabric by Coaster Furniture is made of solid oak with upholstered seat and back, wood c-roll arms. 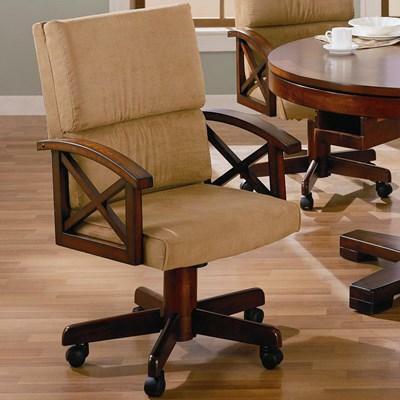 This chair also includes casters, and do not have a gas lift.